Since 2001, Swiss Help for Peace in Bosnia has worked to help Bosnians of all ethno-religious backgrounds empower themselves for a brighter future. The war that ravaged Bosnia from 1992-1995 has ended, but the economic and psychological suffering continues, especially in the rural communities that we work with. Our purpose is to help desperately poor, sick and abandoned people who are hard to reach. Many are elderly, some mentally or physically disabled, but most are helpless children needing food, clothing or medicine. Each family has a unique story but they all share the desperate struggle to cope. Our work is twofold: we provide families with subsistence and emergency assistance, while also empowering people who can work to create small and sustainable businesses. We have strong relationships with the communities we work with all across Bosnia and we visit them regularly, so we can provide a targeted approach that meets their needs. Our work also helps school children in the UK, Italy and in Switzerland get engaged with students in their age groups who are much less fortunate than they are. 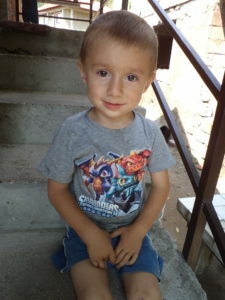 Sponsoring a child in Bosnia is a great way for students to grow in empathy and knowledge. All money raised by Auito Svizzero all Pace in Bosnia (Swiss Aid for Peace in Bosnia) goes directly to help the families who need it most. Our project in Bosnia is called Future for Families, to find out more about who your donations help please see our other website.